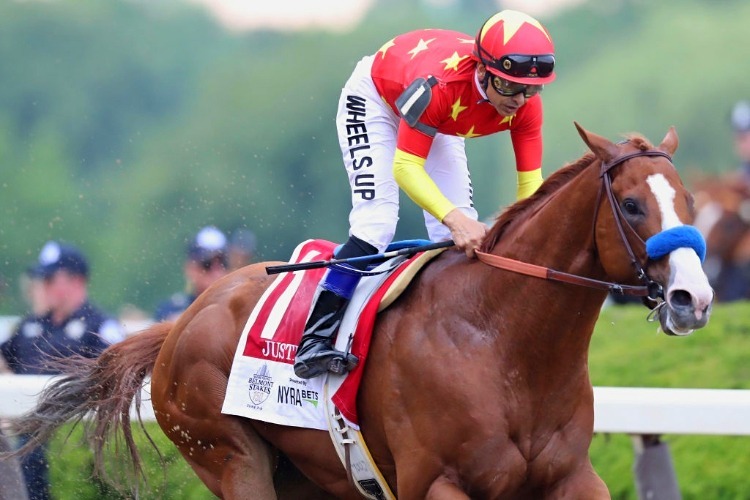 Triple Crown winner Justify dominated the Eclipse Awards for 2018 as champion 3YO male and US Horse of the Year. Justify was the lone unanimous 2018 Eclipse Award winner, receiving all 249 votes for 3YO male, and ultimately enjoyed a comfortable victory in the Horse of the Year voting, outpacing Breeders' Cup Classic winner Accelerate 191-54. Although Justify dominated the voting, his owners (WinStar Farm, China Horse Club, Starlight Racing, and Head of Plains Partners), trainer (Bob Baffert), and jockey (Mike Smith) only made the board as finalists. Justify's owners finished third in their category as Accelerate's owner Hronis Racing took the top honor by a wide margin over Peter Brant. Baffert was edged by Chad Brown as Champion Trainer and Mike Smith was second by a wide margin to Irad Ortiz Jr in the jockey category. Voters did give Justify's breeder the nod as John Gunther secured the outstanding breeder award over runner-up WinStar Farm. Other decisive divisional winners were Game Winner for 2YO Male, Monomoy Girl for 3YO Filly and Accelerate for Older Dirt Male honors. The closest category was the female turf division where the four North American G1 wins by Breeders' Cup Filly and Mare Turf winner Sistercharlie proved just enough to get the nod over Enable, who defeated males in the Breeders' Cup Turf less than four weeks after winning the Prix de l'Arc de Triomphe. The three Eclipse Awards voting entities are NTRA, Daily Racing Form and the National Turf Writers and Broadcasters. Of 271 eligible voters 249 participated. HORSE OF THE YEAR: Justify 191; Accelerate Monomoy Girl 2; Enable 1; Voter Abstention 1. 2YO Male: Game Winner 247; Bulletin 1; Knicks Go 1. 2YO Filly: Jaywalk 214; Newspaperofrecord Bellafina 4. 3YO Filly: Monomoy Girl 247; Magical 1; Rushing Fall 1. Older Dirt Male: Accelerate 245; Gun Runner 2; Discreet Lover 1; Roy H 1. Older Dirt Female: Unique Bella 182; Abel Tasman Marley's Freedom Blue Prize 9; Wow Cat 9; Voter Abstention 1. Male Sprinter: Roy H 234; City of Light 9; Imperial Hint 3; Stormy Liberal 2; Mind Your Biscuits 1. Female Sprinter: Shamrock Rose 136; Marley's Freedom 113. Male Turf Horse: Stormy Liberal Expert Eye Glorious Empire Catholic Boy Heart to Heart Catapult 8; Channel Maker 7; Raging Bull 7; Robert Bruce 2; Funtastic 1; Oscar Performance 1; Yoshida 1; Voter Abstentions 2. Female Turf Horse: Sistercharlie 130; Enable 119. Breeder: John D. Gunther 102; WinStar Farm Mike Abraham Calumet Farm Fred Hertrich III & John D. Fielding Juddmonte Farms 8; Summer Wind Equine 5; Kenneth & Sarah Ramsey 3; Brereton C. Jones 2; Besilu Stables 1; FPF & Highfield Ranch 1; Stonestreet Thoroughbred Holdings 1; Spendthrift Farm 1; Voter Abstentions 9. Trainer: Chad Brown 137; Bob Baffert Steve Asmussen 6; Brad Cox 4; John Sadler 2; Karl Broberg 2; Jason Servis 1; Jerry Hollendorfer 1; Voter Abstentions 2. Jockey: Irad Ortiz 173; Mike Smith Jose Ortiz Joel Rosario 8; Florent Geroux 1; Javier Castellano 1; Voter Abstentions 1. Apprentice: Weston Hamilton 115; Edgar Morales Reylu Gutierrez Heriberto Figueroa 7; Kazushi Kimura 3; Assael Espinoza 2; Evin Roman 1; Johan Rosado 1; Voter Abstentions 22.